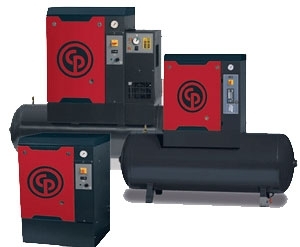 Chicago Pneumatic is a leader in building industrial compressors, ranging from tank-mounted to dryer models. 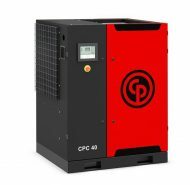 Think Chicago Pneumatic for complete solutions to compressed air needs from start to use. This includes compressed air treatment, innovative compressed air distribution systems, condensate treatment and energy savings solutions. McGee Company works hard to get you the right solutions for your compressor needs. High performance parts and compressors from Chicago Pneumatic demonstrate commitment to durability, pioneering design, and high-impact technology that our customers value. Contact Jeff Robbins, with combined compressors sales experience over 35 years, for all your compressor and air system needs. For CP product breakdowns, check our resources page!